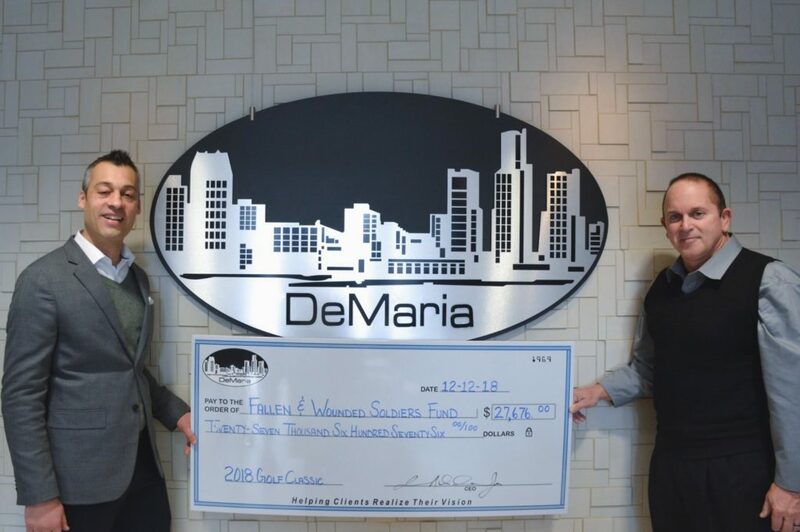 Last month, DeMaria presented the Fallen and Wounded Soldiers Fund (FWSF) with a check for $27,676 to benefit Michigan-based soldiers who serve and protect our country. The donation was a result of the 19th Annual DeMaria Charity Golf Classic, which took place this past June. Founded in 2006, FWSF is dedicated to supporting Michigan-based soldiers and their families. The organization is completely staffed by business people and volunteers who believe in giving back to our armed forces and their families. Proceeds from this donation will be used to support the organization’s mission.